After producing a successful reading of one act plays by her students at the Gateway Center in Westchester Community College, Gabrielle is pleased to announce she will be teaching playwriting through the College's Division of Workforce Development and Community Education. Playwriting is action. The writing jumps from the page to the stage and engages audiences in the moment. In a safe and fun environment, writers of all levels will work on the basic structure of a play starting with short scenes and continuing on to larger works. Actors will attend the last session so writers can hear their words read out loud by theatre professionals. A public reading of selected work will be scheduled in 2019. Come play! Gabrielle Fox won the award for Outstanding Playwriting and Overall Production for her play The Home in the Planet Connections Theatre Festivity. ​Directed by Anthony Valbiro and starring Charles Baran, Petra Denison, Margie Ferris and Misti Tindiglia. The production raised about $2,000 for the Alzheimer's Association and Gabrielle won the Planet Activist award. The Home also received nominations for outstanding direction, actor, actress, supporting actress (Winner! ), and ensemble. 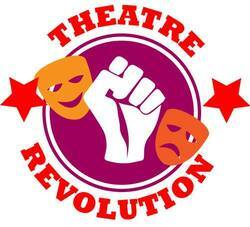 Theatre Revolution LLC continues to interview cast and crew from all over. And will be launching the website soon! TR, where local artists go global!